If you have Amazon Prime McLaren did a behind the scene series on the race team. It's called Gand Prix Driver. It’s on my list, did you watch it? It's just the trailer. It's still "coming soon", but I sure will once it's out. It's not like we saw them on TV very often anyway. Williams had it's reveal.. New Halo head system thingy is SOOOOO UGLY!!! Haas also unveiled their car. 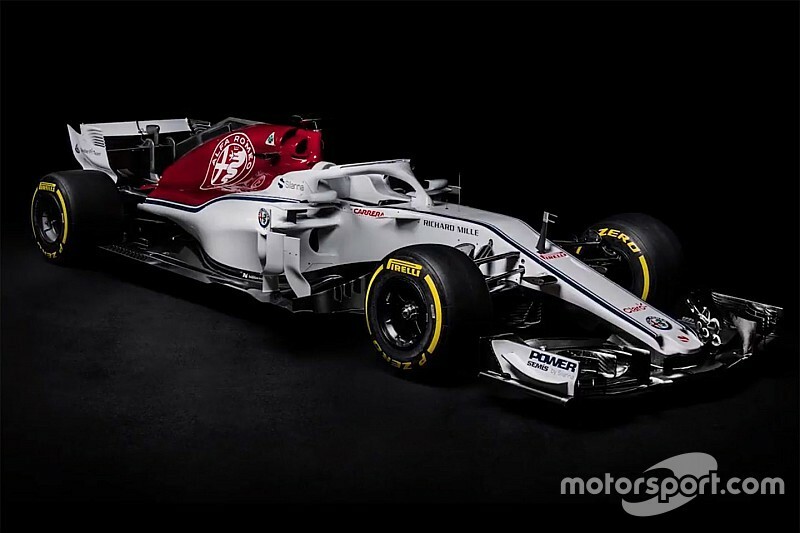 The new livery (or maybe just the photo set) helps to make the halo disappear. Oh, also ESPN announced that they'll use the Sky Sports F1 broadcast here. I'm less upset about that than I was originally because I've heard good things about Sky's broadcast. Wait... was there a broadcast change here from NBCSports? Yes, ESPN has the contract now. 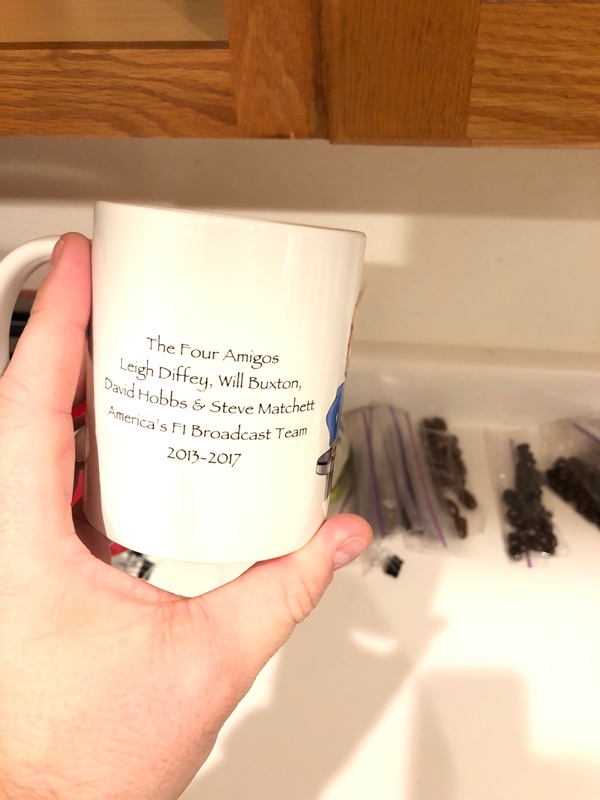 My parents even bought me a mug to commemorate my sadness. Red Bull released their car and I love the livery, shame it’ll go back to “normal” for the season. Ditto. The faux digital camo effect is pretty cool. The Sauber livery is also beautiful. 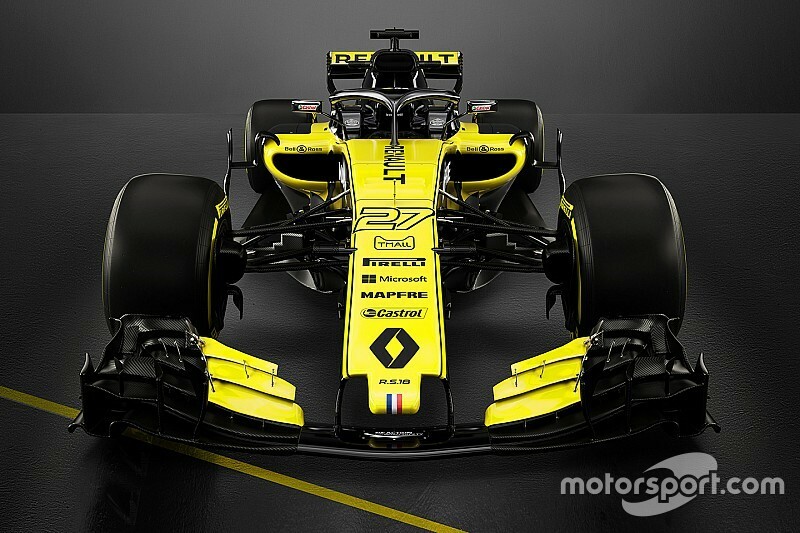 The Renault is too yellow...looks like a bumble bee. McLaren went old school orange, I dig it! Alright fools, get your predictions for Australia in. Merc has already staked their claim in FP1. I have no reason to think anything has changed.. Although, everyone seems to think Ferrari is very fast so maybe a surprise or two. Ok, since you guys are bring super sensible with your picks, I'm going with my heart...just for fun. I no longer have cable/sat so I will have to hunt the stream down on reddit most likely. Who are the announcers going to be? Disregard.. Apparently no one..ugh. Last edited by starbreaker666; March 23rd, 2018 at 04:39 PM. Quallies support out pics... Ham a full 2/3 of a second fastest. ESPN App will carry it. ESPN is using the International or Sky Sports feed. I’m actually impressed with the job they did during quali. Yeah, but that requires a subscription to a cable/sat provider. Cheapest way is likely the F1 streaming service (when that is actually live for production) or YouTube TV (as a side note I’m SUPER happy with YouTube TV). I found a sketchy stream on the Motorsportstream sub reddit... Good race. SUPER happy McLaren had a good day. I am also pleased by that. Watching Haas fail twice with the same issue made the entire bar groan in frustration. Haas needs to clean house. That sort of incompetence is systemic. They need a complete overhaul of their corporate culture. It was nice to see the Honda problems move over the Toro Rosso. Fire the fattest pit crew in F1. BONUS: both Haas cars and Fernando in the points. Ferrari locks out front row.. Exciting last 5 as well! That Ferrari pit crew member's leg did not look good! Ferrari's speed is real.... Just ouch on that guy..ugh. Any interest in using https://gppredictor.com/ for the races? The Denver F1 Meetup group uses it and it's pretty cool. For each race you pick 1-10, pole, fastest lap, and most positions gained. Last edited by cheftyler; April 10th, 2018 at 05:36 PM.